Li Edelkoort is definitely a high highlight of the Design Indaba ’09. She is a proclaimed trend forecaster with amazing insight. I scribbled away like mad with her presentation but here is a sum-up of the things that stood out for me. âœ¿ We live apart and want to be together. Li described it in two words “humbleness” and “togetherness”. An example is the rising number of farm/organic markets. We want to come together and meet. We want real relations. Isn’t this wonderful!?! I think so. We are reconnecting, wanting and needing to return to old values, traditions, craft, gardening – things that are wholesome and truthful (perhaps I am taking it a bit far now). Photo’s from the The Neighbourgoods market every Saturday in Salt River. âœ¿ Story telling and animation in design was and is very important and follows from the trend pointed out above.Â This also resonated with the notion of how we are finding ‘animated’ objects fun. At the Design Indaba Expo I found Vanilla Concrete‘s ceramic creatures to be a perfect example of this. Plush toys have started popping up every where and although they are cute, you have to agree that they are rather unusual and some even weird – but still, we all want a plush friend. They invoke our imagination. But, how about making a ceramic plush? Suddenly all the soft and cuddlyness is taken out and it is in reverse: A ‘concrete’ something is made animate. I so badly wanted to take Milla home with me (far right). Left to right by Vanilla Concrete: Frumpie ceramic; Frumpie soft toy and to the right is Milla ceramic. To read about the frumpie personality and/or if you want to buy one click here. âœ¿ Grey, grey, grey … how many times can you say grey…..? As Li puts it, we are in a time of indecision and we are “ready to embrace a time of hope and well being”. Black and white are neither and thus grey is the perfect positive balance. 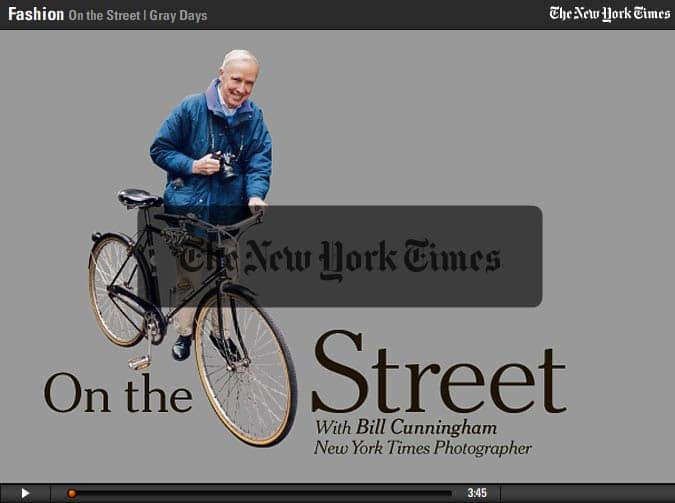 Li even showed a on-the-street video by Bill Cunningham (New York Times Photographer) about the presence of grey at the New York fashion week. P.S. Yellow is apparently the new pink (a perfect complimentary colour for grey). 1. Li did NOT speak about bling or glitz. I have never liked all the glam so on a personal level, I was excited to hear that it is not going to be a big feature in design. 2. The presence of grey as a trend is also a long term trend. In fact LiÂ seemed to feel that we (civilisation) are turning over a new leaf. This new way – where we go backwards to go forward and where we seek the ‘human element’ as technology features more in our world (as she put it “we want to be unplugged but wired at the same time”), is a trend that will be around for the next 40 years! I am SO EXCITED about this. Trying to keep abreast of change is exhausting and to hear that season trends are only going to blur more and become one is a relief. Long ago 100 years went by with one trend now we do not even have 100 days with a big trend. Isn’t this refreshing information. This entry was posted in Blog and tagged 2010, angie hattingh, animated, Bill Cunningham, civilisation, Colour, Consumer trends, Craft, creativity, design indaba 2009, farm, fashion trends, financial crisis, glam, grey trend, illustration trend, li elderkoort, minimalism, New York Fashion Week, organic market, pink, plush toys, return of old values, story telling in design, technology, technology vs nature, tradition, trend, trend forecast, yellow. Has the Design Indaba Expo gone to the dogs?? What a great summary. The way you state it is so hopeful and positive. I love that yellow is the new pink … yellow is such a fun color! I’m going to keep this in mind as I move forward with my adventure too! Thanks so much for your summary! I really enjoyed it! Its kind of strange that now everything revolves about the organic. In the early 1990 in Johannesburg an organic market was launched in conjunction with the Michaelis Waldorf School, it experienced a very slow growth but a growth none the less to a fully fledged wonderful market today without the stigma attached. Luckily everyone is climbing on the bandwagon of this better lifestyle. Thanks for sharing Li Edelkoort with us must have been quite something.